Its official, my baby girl has been in this world for as long as I carried her. She is nine months old and I am still learning about myself and my body in these 9 postpartum months. I am fortunate though, a majority of the baby weight came off within the first month. Those last ten pounds, unfortunately, have been the hardest. I must admit, even though I have been working out this summer, I do have an insane sweet tooth. Sometimes I wonder if I primarily work out so that I can eat cookies and cake! I am learning to love my postpartum body and I know it will take time to reach my goals. In the mean time, jumpsuits are my best friends. I noticed that they fit better than I would have expected. They elongate my body allowing me to camouflage my "problem" areas. 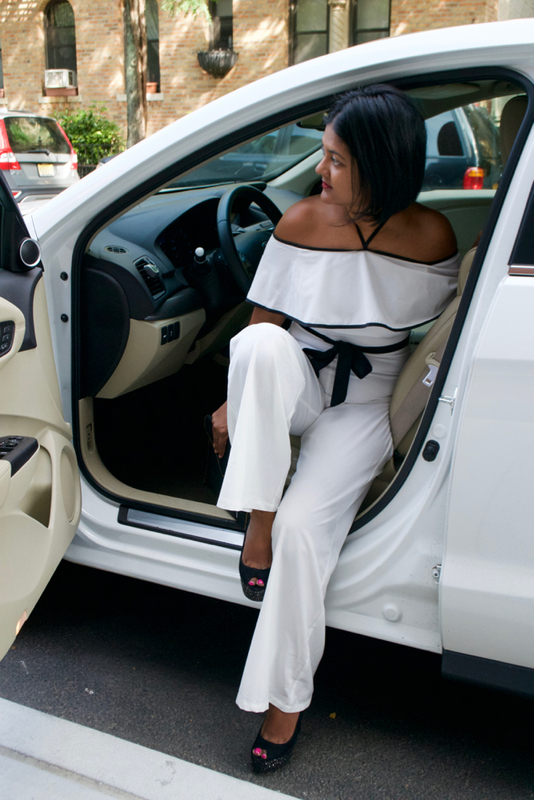 This jumpsuit from Make Me Chic is one of my favorite post pregnancy pieces. My cousin had a white party the night before her wedding in Tobago and this is what I wore. 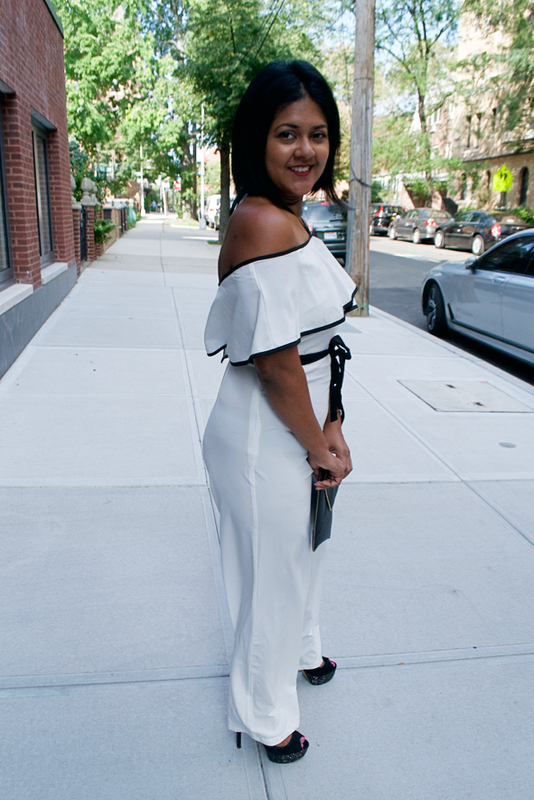 This is a perfect white party outfit. 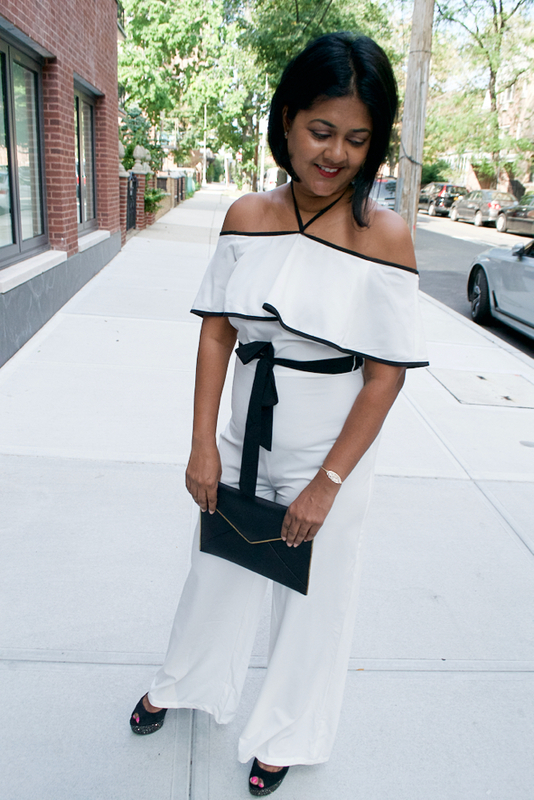 This jumpsuit combines the off the shoulder trend with figure flattering lines. The black detail on the trim and the sash are elements that make this jumpsuit stand out from the rest. 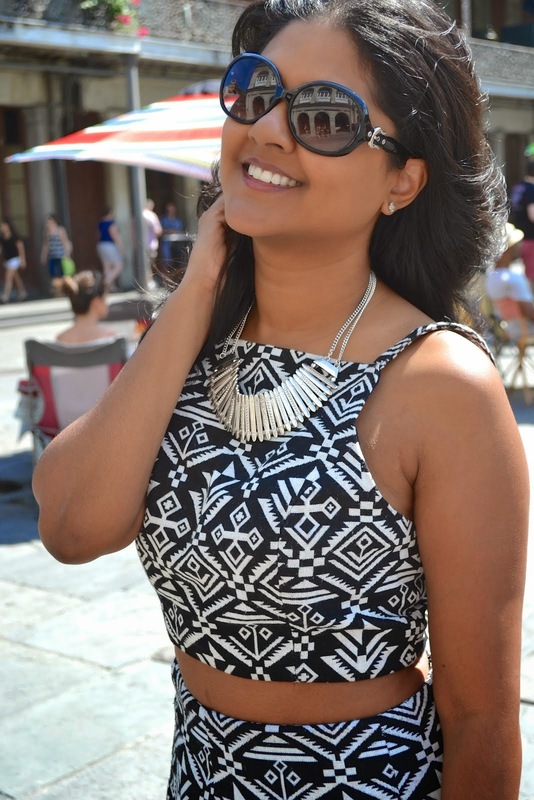 I felt extremely comfortable in this and even though I am not at my pre-pregnancy size, this made me feel beautiful and made me love my new shape and size. Sometimes, there is that one article of clothing that will make you realize how beautiful you are regardless of the number on the scale and this is the one that did it for me.